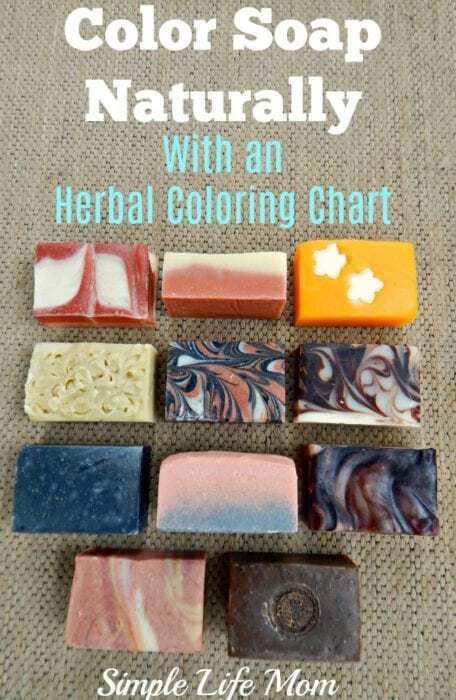 I already gave you some great ideas on how to use ground herbs and spices from your kitchen like paprika, nutmeg, turmeric, and cocoa powder to color soap in Adding Color to Homemade Soap. Today, I want to go a step farther and talk about herb that can be infused in oil or added to lye water for a brighter color so you can color soap naturally and organically. These methods are for hot or cold processed soap. Melt and pour soap is already soap. You cannot infuse oils or lye water, because it’s already been mixed. Stick to colors that can be added at trace for melt and pour since most of these will blend more easily with melted soap. The lye water – Some herbs become much brighter when added to the lye water instead of simply added at trace or even as an oil infusion. The idea is to make a tea and allow it to cool. Use this as part or all of the water in your recipe. Once it combines with the lye it often changes color and continues to do so after added to the oils and saponifies. 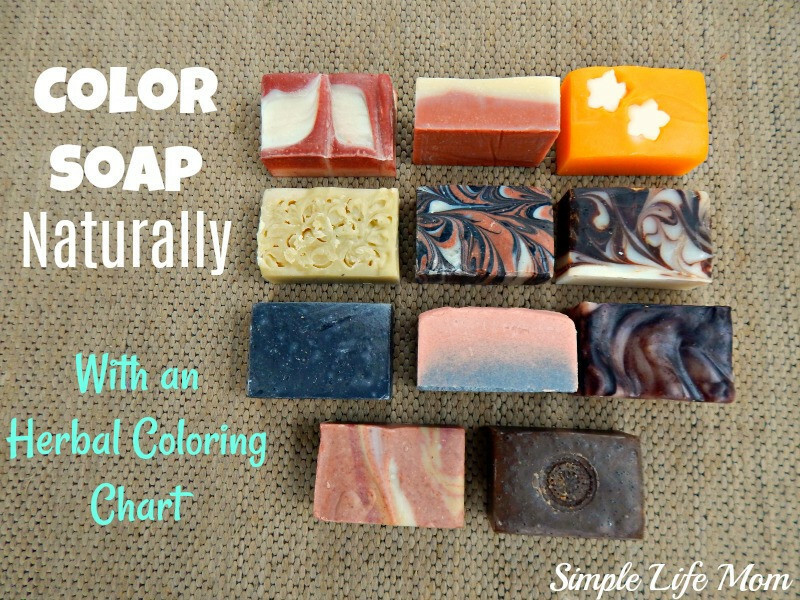 At trace – Adding color at trace is what most people start with when adding color to soap. This involves removing a small amount of soap batter at light trace, whisking in the natural colorant, then adding it back to the main batch, swirling it in, or creating layers. Infused oils – Infused oils can often bring the brightest colors. The hot oil or cold oil infusion process is very simple, and colors can be made ahead of time and kept to be used for multiple soap batches. You simply infuse an oil that you will be using within your recipe. Either add hot oil over herbs and allow it to cool while shaking and stirring, or add cold oil over the herbs and set the sealed jar in a sunny window sil and allow it to infuse for up to 6 weeks, shaking occasionally. Olive oil is in most recipes, so it makes a great choice for oil infusions. So, for example, if you have 8 oz of olive oil in your recipe, you may want to infuse 4 of those ounces or even all 8 of those ounces with your colored oil. Obviously, how much you add will effect the color. If you want a more detailed chart with more herbs, more colors, and exact measurements to use, check out my book, The Natural Soapmaking Book for Beginners. In general, start with one teaspoon of a ground herb per pound of soap when adding to lye water or at trace. Some may require less, some more, but it’s a great place to start. Add more if you want to, but remember that some colors deepen as they go through the process (like alkanet), others lighten (most greens). Clays, charcoal, and cocoa stay pretty much true to what you started with when adding, so feel free to adjust them right then and there. For most oil infusions you can fill an 8oz jar with the fresh herb before pouring oil over it. If using powders, ground herbs, or seeds, you will often use a mounded tablespoon in an 8oz jar and end up with a bright and beautiful infusion. Again, for more details, check out my book, The Natural Soapmaking Book for Beginners. In celebration of my book coming out, we’re having another Giveaway! We’ve given away pounds of herbal soap, an herbal course at Herbal Academy. 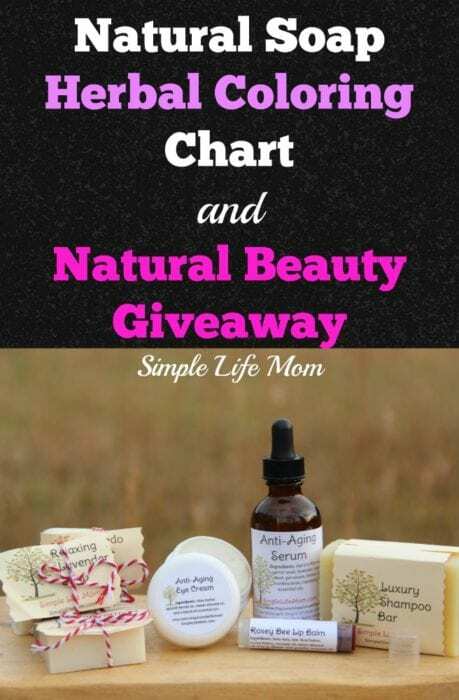 Now we’re celebrating this week where the digital version of the book is on sale for $1.99, and the book is being released and mailed out to everyone by having a Natural Beauty Giveaway. So, please share with your family and friends and will give this celebration one more hoorah! The giveaway ends 8/18/17. HI and THANK YOU for this chart! I am anxiously awaiting the arrival of my copy of your book to begin my own adventure into soapmaking! Looking forward to having all the fun of making another of my own creations for my body and hair to include with all of the cleaning and beauty products I already make. Thank you so much Carol!! Let me know if you have any questions moving forward. Can’t wait to get my book ! I’m interested most in the shampoo bar. I have never tried one. My book is on the way and I am so excited! 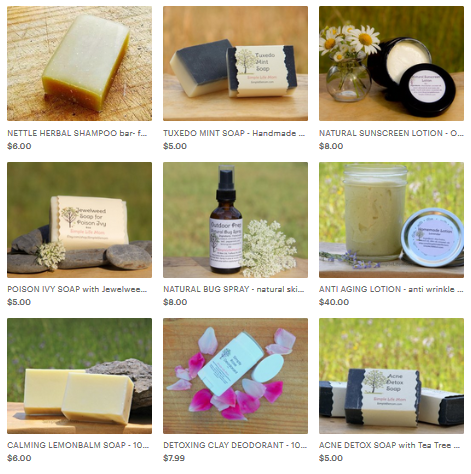 My favorites are your soaps and your natural perfume! So excited for the book. Love your blog! This is my first time making soap (that’s not laundry or liquid hand soap). You make everything look so beautiful and easy Kelly 🙂 Enjoying all the videos and bonuses too. Jan Berry’s soap videos are amazing! I’ve been using essential oils and studying herbs. Can’t wait to put it all into practice. Interested in soap and shampoo bars. Thank you! Thank you so much Nancy. I’m so glad you’ve been enjoying everything. Yes, Jan’s work is wonderful. She’s a very genuinely kind woman and I’ve been honored to work with her. We have a few thing coming up in November together that I’ll be excited to share with you. I’m loving your book so far… Can’t wait to try the recipes! Hi sweetie, site won’t let me enter give away? Sorry about that. Try on a different device. Sometimes that’s an issue, or logging in if you’re using facebook or something instead of just an email address. I’ve already read your digital version and I love it. Your instructions are very straight forward and easy to follow. 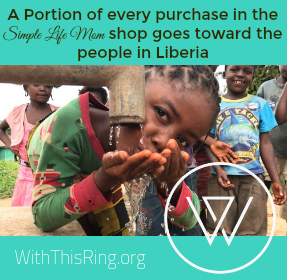 You have made making soap very easy! Love all your tips! Thank you so much! I’m so glad you’ve find it helpful. i am most excited for the eye cream. Loving this book! I can’t wait to try out some of the natural colorants! Thank you so much. I’m so glad ?? Oh A real shampoo bar would be awesome to try! I usually use bar soap for my hair but it’s left a little frizzy, maybe a specifically shampoo bar would help. Great! Yes, I have hard water so I get the best results when following up with a diluted apple cider vinegar/water spray (50/50) as a conditioner. I would like to try the shampoo bar because I have never used one before. I’ve used your goat milk shampoo bar and the hair oil. I can’t tell you how much I love them! I’ve had problems with frizzy hair and hair loos, and I’ve seen an improvement in both. Besides that, the products smell great without being overpowering. I just love your products! Do You have soap samples? ?